How much is Natalie Imbruglia Worth? Natalie Imbruglia Net Worth – Natalie Imbruglia is an Australian model, singer and actress who has a net worth of $14 million dollars. Born in Sydney, Australia, in 1975, Natalie Imbruglia studied dance as a child and was appearing in television commercials while she was a teenager. She landed her first role on the soap opera "Neighbours" after she left high school to pursue acting when she was 16. Imbruglia moved to London and embarked on a singing career best known for the hit "Torn". 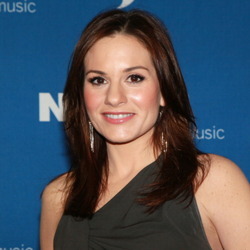 In 1998, she won Best New Artist at the MTV Awards and was nominated for three Grammys a year later after the release of her debut album "Left of the Middle". "Torn" topped the charts in the U.K. and the U.S., selling more than a million copies just in the United Kingdom. The song stayed atop the radio singles list in the United States from March to July until The Goo Goo Dolls released "Iris". As of 2009, Imbruglia had released four studio albums, selling more than nine million records around the world. She has appeared in several films, including "Johnny English", "Closed for Winter", "Underdogs", and "An Unkindness of Ravens". Imbruglia has been in advertisements for a handful of brands and companies, including Twisties, Bubblicious, Gap, L'Oreal, and PETA. 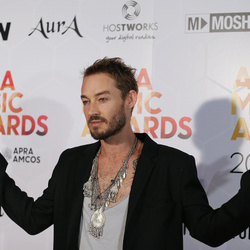 She married her first husband, Daniel Johns, in 2003, though the pair divorced in 2008. She has since been romantically linked to Prince Harry.